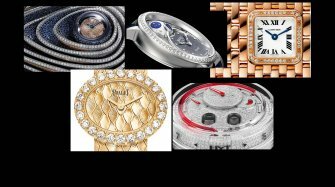 There was no shortage of interesting watches for women at this year’s SIHH. 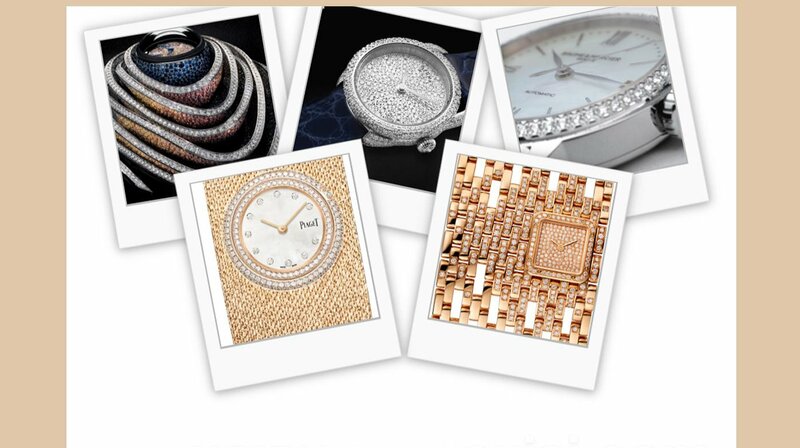 As every year the SIHH lived up to our expectations by revealing many interesting pieces for women who love watches. We observe a growing number of watches being designed to enamour the lady into the world of fine watchmaking. 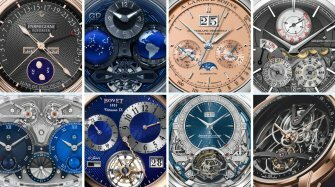 Here are some of the watches that impressed me. This is a unique creation that pushes gem-setting to new heights. Named after the river that runs through Le Brassus, home of Audemars Piguet, Sapphire Orbe embodies a glittering river of 12,000 diamonds and sapphires in graded hues of blue and orange, as night merges into day and makes this piece exude craftsmanship and beauty. This piece offers a play of colour and light that changes depending on the perspective from which it is seen. 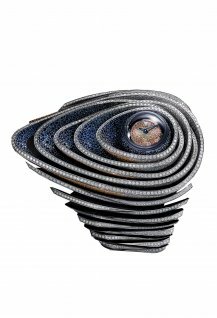 In the domed centre nestles the dark blue sapphire-set globe which, when inverted, reveals the watch’s 18-carat white gold dial paved with orange sapphires. 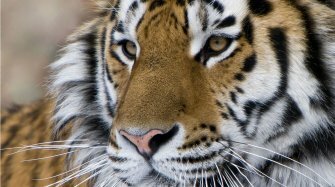 The bracelet is made of diamond-set components, for maximum flexibility and comfort. Audemars Piguet also began a new chapter in their history with introduction of a round gender neutral watch collection called Code 11.59. The watches in the collection appear simple and round, but things aren’t as they seem. It is a complicated watch once you understand it and feel it. The watch case consists of three parts with an octagonal case middle and round upper and lower sections. To match this synchronicity with technical standards and the perfect finish requires huge research and development and craftsmanship. 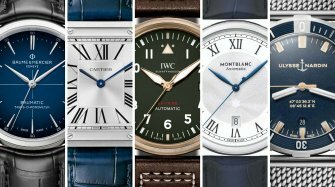 If you appreciate fine watchmaking you will be mesmerized by this new collection. Cartier watches never fails to impress. 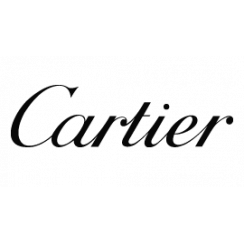 The Panthère de Cartier Manchette watch accentuates the flowing, silky bracelet of the Panthère de Cartier watch. The dial of the watch is off-centred, The partly open-worked chain reveals a glimpse of the wearer’s skin and lightens the material to create a casual yet stylish piece. The Panthère de Cartier manchette cuff watch comes with a pink-gold, case, dial and bracelet which has been stylishly set with 404 brilliant-cut diamonds. 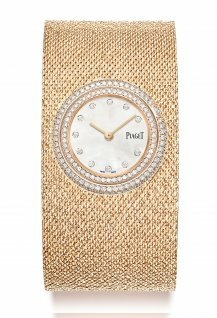 The allure of gold is indisputable and the Piaget Possession watch has always allured the independent woman of today. 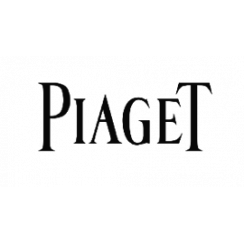 Piaget showcased an exceptional gold Possession model with a textured mesh cuff bracelet. 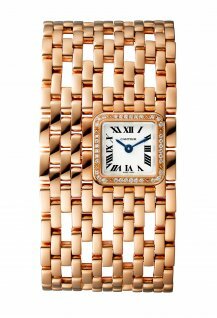 This watch caught my eye with its intricate and supple gold mesh bracelet. 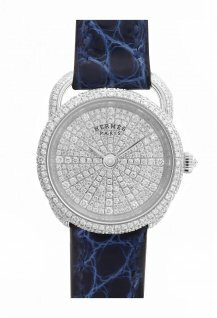 The watch has a mother-of-pearl dial and a halo of diamonds on the emblematic rotating bezel. Both the case and the iconic rotating bezel are fully set with diamonds forming the perfect accompaniment to the exquisite gold-worked cuff Possession watch. This was one of the most eye-catching bejewelled timepieces that I saw at the show. This watch for the classy and elegant lady is handcrafted in Swiss workshops. The 23mm white-gold watch case is set with 289 diamonds, while the crown is set with a rose-cut diamond. The dial is also in white gold and set with 228 diamonds. The watch comes with a blue alligator strap with a buckle in white gold. 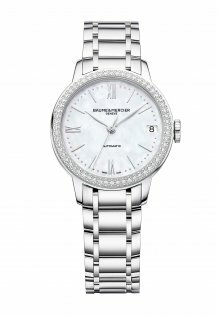 Baume & Mercier showcased a simple and classy timepiece for women in the Classima Lady Collection. The Classima 31mm watch comes with a mother-of-pearl dial and diamond-set case. It has Roman numerals at 6, 9 and 12 o’clock and features a transparent sapphire case back through which the movement can be viewed. This timepiece showcases a radiant dial in white mother-of-pearl enhanced by a diamond-set bezel and features an elegant minute track that complements the dial.